TS EAMCET 2019 Eligibility should be checked by the candidates before applying. TS EAMCET 2019 is a state level entrance exam organized by JNTUK Hyderabad on the behalf of TSCHE. This exam will be organized to provide admissions to students in undergraduate professional courses in the field of engineering, agriculture & medical courses. These courses are offered by various colleges and universities in Telangana state. Through this article candidates can check the detailed information about TS EAMCET Eligibility Criteria 2019. Persons of Indian Origin (PIO) / Overseas Citizen of India (OCI) Card Holders are also eligible to apply. Candidates should belong to Telangana/Andhra Pradesh state. Candidates should satisfy local/non-local status requirements as laid down in the Telangana/Andhra Pradesh Education Institutions (Regulations of Admission) order, 1974 as subsequently amended. Candidates should have passed or appearing in 12th class with Mathematics, Physics along with Chemistry/Biotechnology/ Biology as optional or related vocational courses in the fields of Engineering and Technology or equivalent. 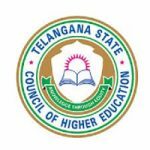 Candidates who have passed or appeared Intermediate Examination (10+2 pattern) with Biology, Physics and Chemistry as optionals along with the bridge course examination in Mathematics conducted by the Board of Intermediate Education, Telangana/Andhra Pradesh are also eligible for the Bio-Technology course. Students who have cleared or appearing in the final year of the diploma examination in engineering or any other examination recognized as equivalent thereto can also apply. Candidates must have secured minimum 45% marks (for general candidates) and 40% marks (for reserved candidates) in the 12th or equivalent exam. For engineering and pharmacy courses, candidates must have completed 16 years age as or on 31st December of the year of admission and no upper age limit. For B.Tech (Dairy Technology), B.Tech. (Ag. Engineering), B.Tech. (FT) and B.Sc. (CA & BM), candidates must have completed minimum 17 years age as or on 31st December of the year of admission and maximum 22 years for general candidates and 25 years for reserved candidates. B.Sc. (Hons.) Agriculture: (i) Physical Sciences (ii) Biological or Natural Sciences (iii) Agriculture (iv) Vocational Course in Agriculture. B.Sc. (Hons.) Horticulture: (i) Physical Sciences (ii) Biological or Natural Sciences (iii) Agriculture (iv) Vocational Course in Agriculture. B.V.Sc. & A.H.: (i) Physical Sciences (ii) Biological or Natural Sciences. B.F.Sc. : (i) Physical Sciences (ii) Biological or Natural Sciences (iii) Vocational Course in Fishery Sciences. B.Tech. (Food Technology): (i) Mathematics (ii) Physical Sciences or (i) Physical Sciences (ii) Biological or Natural Sciences. Candidates have to qualify 10+2 or equivalent examination with with Physics, Chemistry and Biology optionals. Candidate have to secure minimum 45% marks (40% in case of candidate belonging to reserved category) in the subjects specified taken together in the qualifying examination. Candidates age should be 16 years by the date of commencement of Admissions. Candidates should have passed or appeared Intermediate examination (10+2 pattern) or equivalent with Physics, Chemistry and Mathematics or Biology optionals subjects. Candidates should have passed or appeared at the final year of the Diploma examination in Pharmacy course or equivalent conducted by the Telangana/Andhra Pradesh State Board of Technical Education and Training can also apply. Candidate have to secure minimum 45% marks (40% for reserved category) in the subjects specified taken together in the qualifying examination. Candidates must have completed 17 years age as or on 31st December of the year of admission. If you have any other queries related to TS EAMCET 2019 Eligibility Criteria, you can leave your comments below in the comment box. NEET will be for MBBS/BDS only. My son is an Indian passport holder, did his schooling until 10th grade overseas. He is now doing his 1st year Intermediate studies in Hyderabad. Our residence is in Hyderabad and that is referenced in his Aadhar card as wel. Is he eligible to appear in Telangana EAMCET in 2018? he should possess Telangana domicile. yes he will be eligible. Sir,my daughter born MH secunderabad and studing here since 2006,Is she eligible for telangana quota for 2017 eamcet/neet. My Son is local to Telangana and completed 8th, 9th and 10th as TSOS and regular 11th and 12th (Intermediate), is he eligible to write EAMCET and if get a good rank can get admission to Engg college, please clarify? I am basically from West Bengal but my daughter born in MH secunderabad 2000 and since 2006 she is studing here.Will be she eligible for telelgana quota in 2017 for medical. I am a citizen of west Bengal but I stayed in Kakinada, Andhra Pradesh for 2 years during my high school and I appeared for class 12 CBSE Exam from Andhra Pradesh itself. Ami eligible to apply for EAMCET Exam (medical). check the eligibility conditions in detail. must be completed the age of 17 years on 31 dec 2017. I did bds 2006, my 10+2 in 1997, i want to do bams, my age is 35, am i eligible for ts eamcet ? Yes. There is not any upper age limit to apply for this programme. My son is studying in narayna junior college naraynguda at hyderabad ,passed matric exam from jharkhand. Shall he be eligible to write eamcet 2017? MY SON STUDIED UP TO 10TH CLASS IN U.A.E ( DUBAI) AND STUDIED INTERMEDIATE IN HYDERABAD AND WRITTEN TS EAMCET EXAM GOT 35543 RANK ,HE WILL CONSIDER AS LOCAL OR NON LOCAL AND DID HE GET ENGINEERING SEAT. I am studying in Telangana from 7th till Intermediate. Acoording to the latest update am I eligible for attending the TSEAMCET counselling and availing a seat in EAMCET colleges? you must have resident certificate + your father certificate, if he is working in central government job in Telangana. I did my studies in Hyderabad from 2005-2016 (11 years) and I have written TS EAMCET 2016. Am I eligible for counselling and verification process? I’m non local and got 51 marks in tseamcet and qualified in 12 exam but my rank is not displaying not result.Am I qualified for counselling or not. If you have secured marks equal or more than the cut-of marks then you are qualified. I have got 41 marks in ts eamcet . Should i qualify or not.? And i have got 52.8% in 12th jac board. So,please reply me as soon. You can check the cut-off marks of TS EAMCET. My Daughter born in Hyderabad with a valid Birth certificate, She had all her schooling outsite telangana state, we parents both belong to Telangana state and stayed for more than 30 years. My question is she eligible to write TS- EAMCET?. Also please clarify on her Local / Non Local status. The eligibility criteria of TS EAMCET 2016 is mentioned in this article. Expecting comment from Sarvgyan Team. Non-local because 9th to 12th education is considered. You can check your eligibility for TS EAMCET 2016 from this link. I am doing my intermediate with TS Board and just completed writing first year exams MPC. My intermediate second year classes just started yesterday , i.e 21st March. Apply but before applying you should adhere to the detailed eligibility criteria through the information brochure of exam. sir i fill the application form and payment successfully.my APEAMCET-2016 reg. no.293613.but i am live in tripura and 10+2passed in west bengal.so pls you inform to me status my application urgently. My son is studying intermediate (ISC) at Srichaitnaya Junior Kala Shala, Borampet, Telengana and appearing the 12th Examination this year. He has completed his 10th exam from ICSE board, Bareilly UP. Will he be eligible to appear the TS EAMCET- 2016 examination. If yes in which category?. The centers for the EAMCET examination will be only at Hyderabad or at ALL India Level. Can he appear for the online examination at another center then Hyderabad. Kindly guide me in this regard. TS EAMCET 2016 eligibility criteria is mentioned in this link. 2. Under B.E, what are branches available? 3. Are candidates from other states eligible? Iam enter my stream agriculture in place of engineering..
can i change to engineering to agriculture.. how can i change? which date edit option available?..in the edit option total application form editing is possible or not? Correction period will be started from 3rd April to 13th April, kindly contact the officials or read the complete information bulletin for more info regarding form editing. WHAT SHOULD I SELECT FOR QUALIFYINF EXAM AS I HAVE PASSED INTER IN 2002 AND DONE DEGREE COURSE? You have to select 12th passed. I am studing since 2006 in Hyderabad,Am I eligible to appear ts eamcet. I stay in Karnataka state. my daughter is studying 12 in Karnataka. only if you belong to telangana state. You should belong to TS to apply for this exam. You can fill the form through http://www.apeamcet.org. I am a native of Odisha, My daughter studied up to class 10 in C.G. and is a domicile of C.G. state. Now she is studying her class 11 and 12 in Hyderabad(Telengana Intermediate board) with PCB since session 2014-15. This year she will appear final 12 th class exam. Is she eligible for TS EAMCET 2016 . Please let me know. TS EAMCET 2016 Eligibility is given in this link. I appeared for eamcet 3 times n I am local student n can I write eamcet this year.? I completed my intermediate in 2013. You can check your eligibility for TS EAMCET 2016 through this link. Sir my date of birth is 1999 i am gonna write eamcet in 2016 will i complete 17 years by 31st december 2016.i am asking u because everybody are calculating wrongly.so plz help me in this regard as soon as possible. yes you will complete 17 years. I am basically from Telangana state holding Telangana state birth certificate. but at present I am studying my 12th standard in Tamilnadu. Am I eligible for appearing TS EAMCET. Check your eligibility for TS EAMCET 2016 from this link. The BCECE 2016 Eligibility criteria is mentioned in this link. You can check the eligibility of your wife through the given link. You an check your eligibility for TS EAMCET 2016 from this link. My daughter studied in 12 th standard from Maharashtra Board. I am want to appear her in TS Emcet 2016. Can she eligible for TS EMCET. plz inform me. TS EAMCET 2016 eligibility criteria is mentioned in this link. Check your eligibility form here. You have to score marks more than the cut-off marks. TS EAMCET 2016 cut-off marks is mentioned in this article. You can check the TS EAMCET 2016 dates from here. This article of TS EAMCET 2016 will provide you the complete information about eligibility. I have studied in Hyderabad since the fourth standard (CBSE). Am I eligible for TS EAMCET? Check your eligibility for TS EAMCET 2016 through this link. I am a native of Kerala. I have done my matric from the then AP state. My son studied 10th in Hyderabad and also now doing 12th in Hyderabad. Is he eligible to write EAMCET, 2016. You can check AP EAMCET 2016 eligibility from this link. Pls let us know the local candidate? Is she eligible for Eamcet free seat if she scores the desired rank? Candidates should belong to Telangana/Andhra Pradesh to apply for this exam. i m a residnt of jharkhand and completed my 10 2 from CBSE in jharkhand……will i be eligible to appear in ts eamcet 2016.. I am a Indian railway employmeee. As such I am frequently and compulsory transfer every 3 / 4 years. My daughter studied in Karnataka up to 10 and is now in Hyderabad for intermediate. Iam a native of tirupathi and have ration card too. Last 2 years I was posted in Hyderabad. Now is my daughter a local or not. Not yet. for that she must avail the 10th and 12th from there. If she has a domicile certificate of Telangana then only she is eligible. I am a keralite,doing my 12th from Kerala public exam board.Am i eligible to appear for Eamcet exam.